ICC has allowed the Test-playing nations to have the players sport their names and numbers on their jerseys and India will play the second Test against Windies wearing numbered white shirts. ICC has also added that every Test match after August 1 will have players' names and numbers on the shirts. For the longest time in the English county matches as well as the Sheffield Shield, players are used to wearing whites with names and numbers on the back of their jerseys. 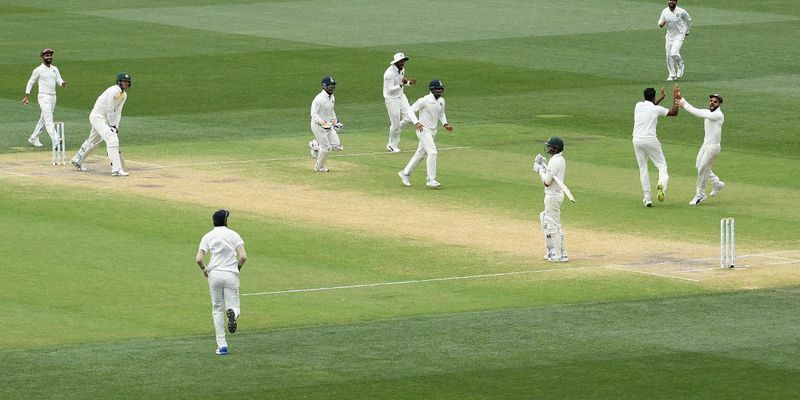 While there has been a lot of talk of adding names and numbers to the Test whites as well, no consensus was reached, making it a difficult proposition for the ICC to approve it. However, as many former and current players openly asked for the new shirt rule to be implemented in Test cricket, ICC’s GM of Strategic Communications Claire Furlong revealed that the Test championship shirts will have name and number on the back of it from August 1 onwards. “Yes, it starts from August 1 for the World Test Championship. It is a part of the wider plan to promote Test cricket,” Claire Furlong, ICC’s GM Manager [Strategic Communications] said on Friday. As a result, the Indian team will play the second Test of the World Championship against the Windies wearing numbered white shirts as the first Test will be held before August 1. PTI also reported that the Indian team will not use two jersey numbers in Test cricket – Sachin Tendulkar’s No 10 jersey and MS Dhoni’s No. 7 jersey. Earlier, when Shardul Thakur came to the field with No 10 jersey, he was at the centre of a lot of ire on social media.